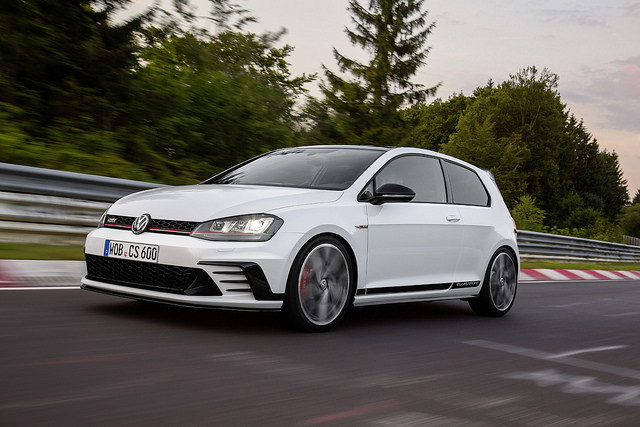 The 2016 Volkswagen GTI Hatchback is one of the top used sports cars on the market available for less than $30,000. The auto is popular with drivers who desire a high-performance sports car for an affordable price. The stock drivetrain in the GTI is a 2.0 liter turbo-four cylinder rated at 210 horsepower combined with a six-speed manual transmission. Consumers who prefer an automatic will also be able to find models with a six-speed dual clutch automatic that was sold as a dealer option. The overall fuel efficiency rating of the vehicle is 25 MPG (city) and 34 MPG (highway) putting the car above average when compared to other used sports car models.